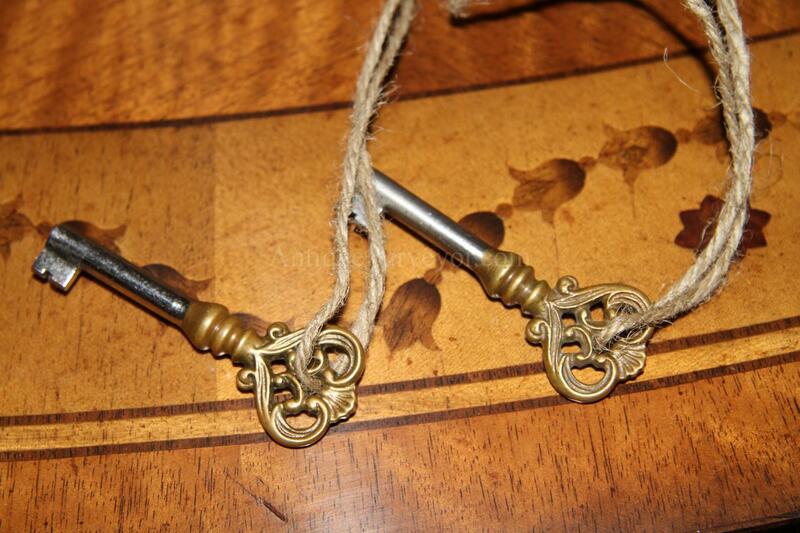 3 Working keys are included, keys are forged in factory. 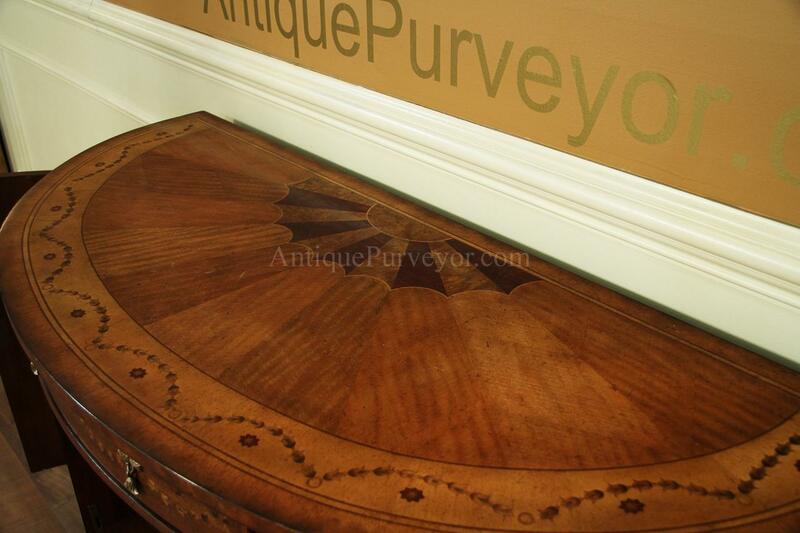 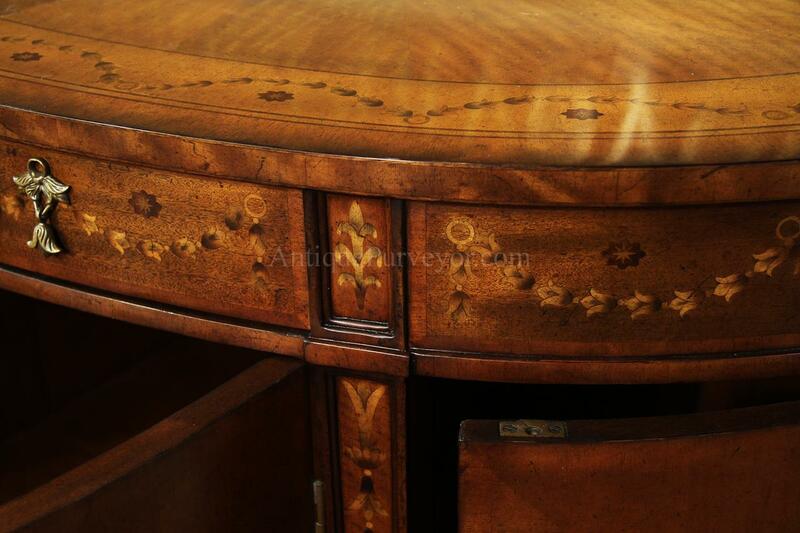 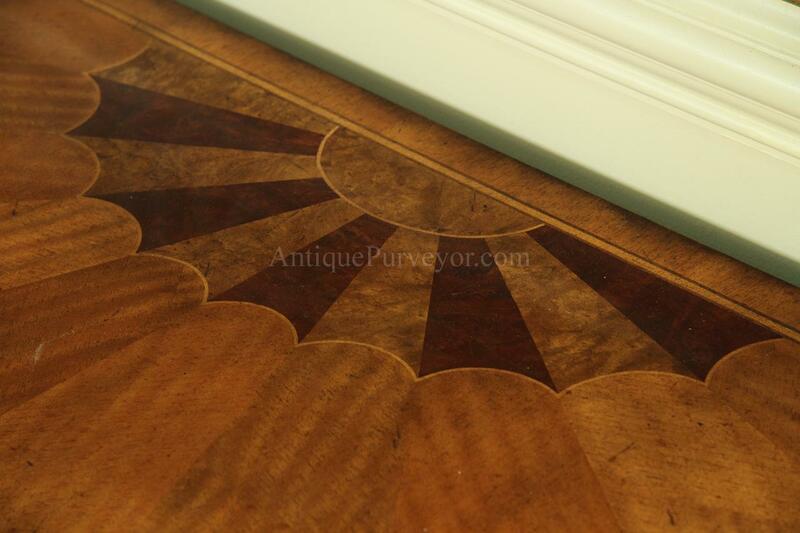 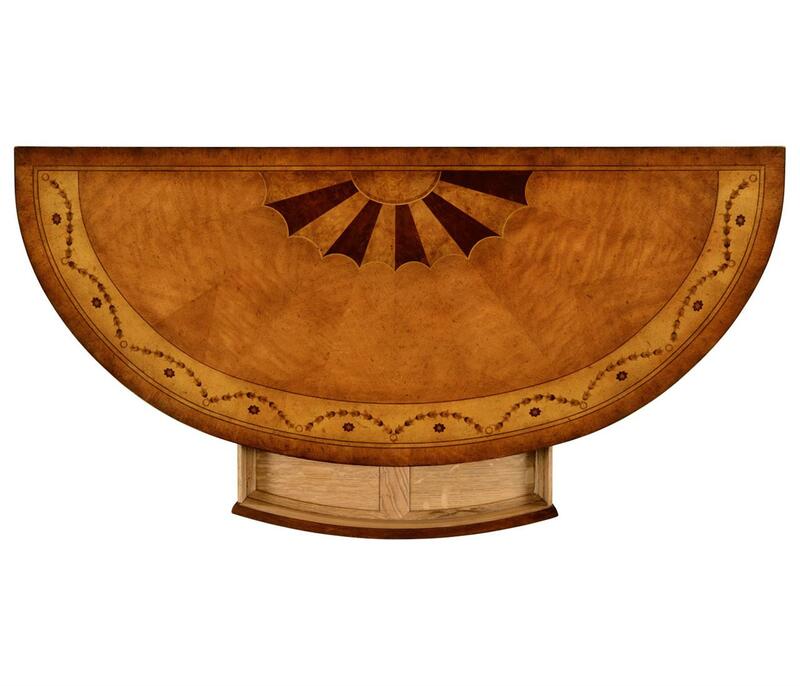 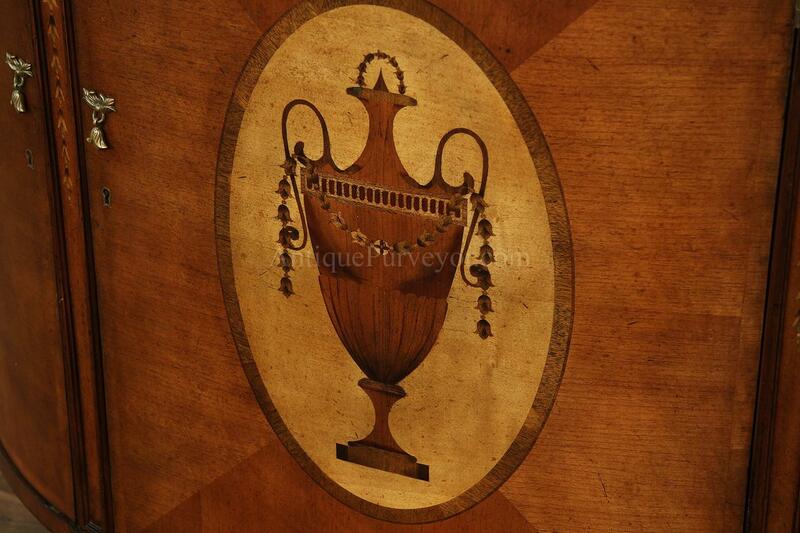 Description: Ultra high end mahogany and satinwood inlaid demilune with quality craftsmanship at every corner. 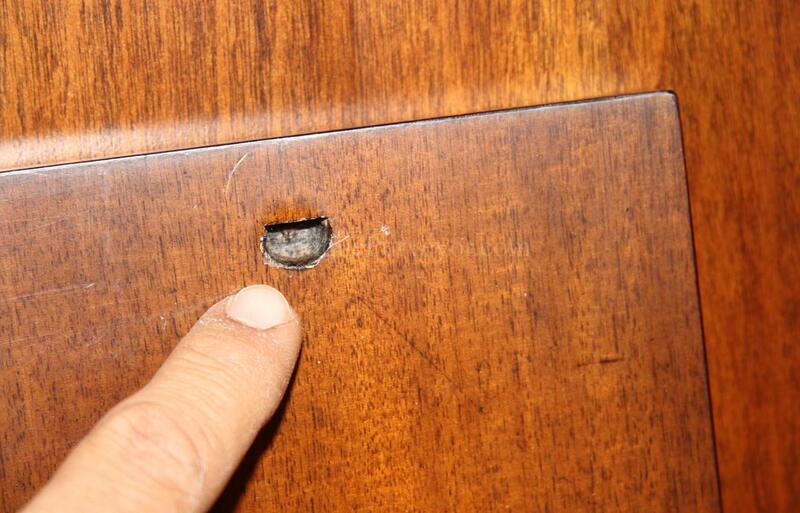 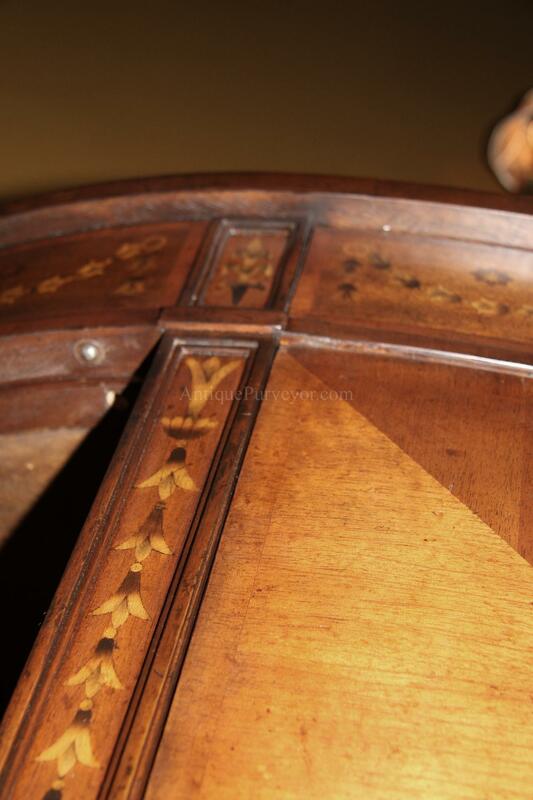 Detailed cabinet. 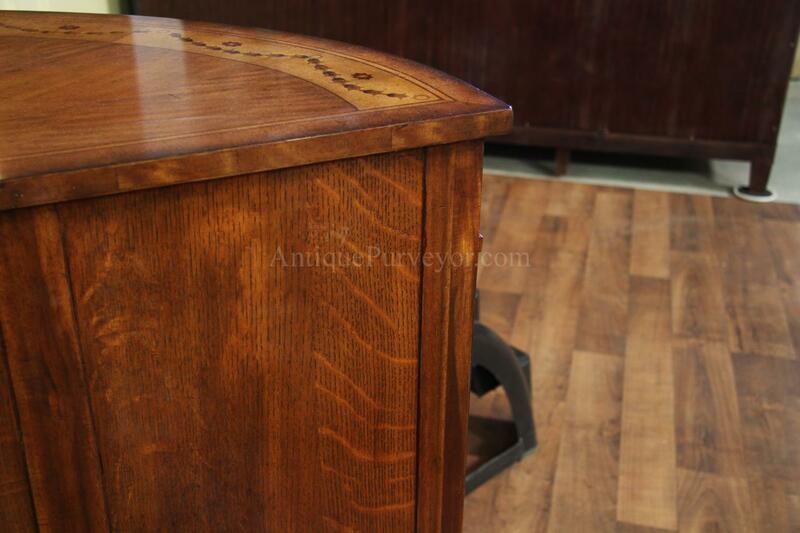 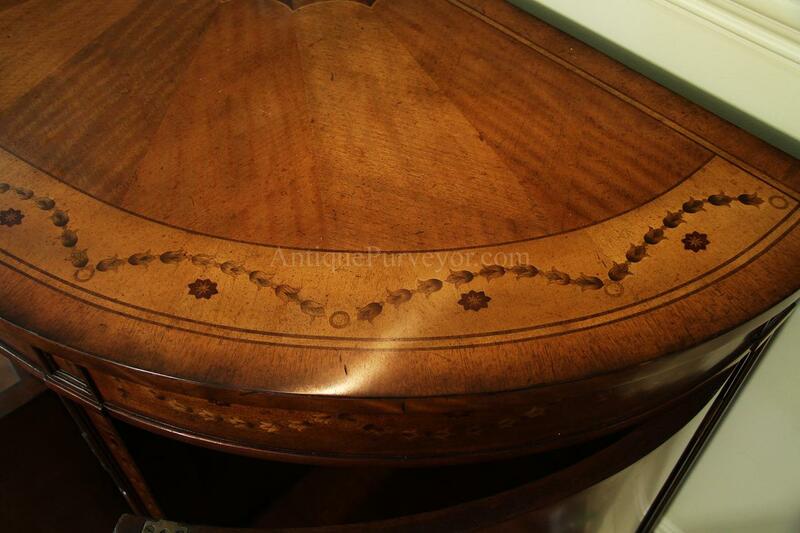 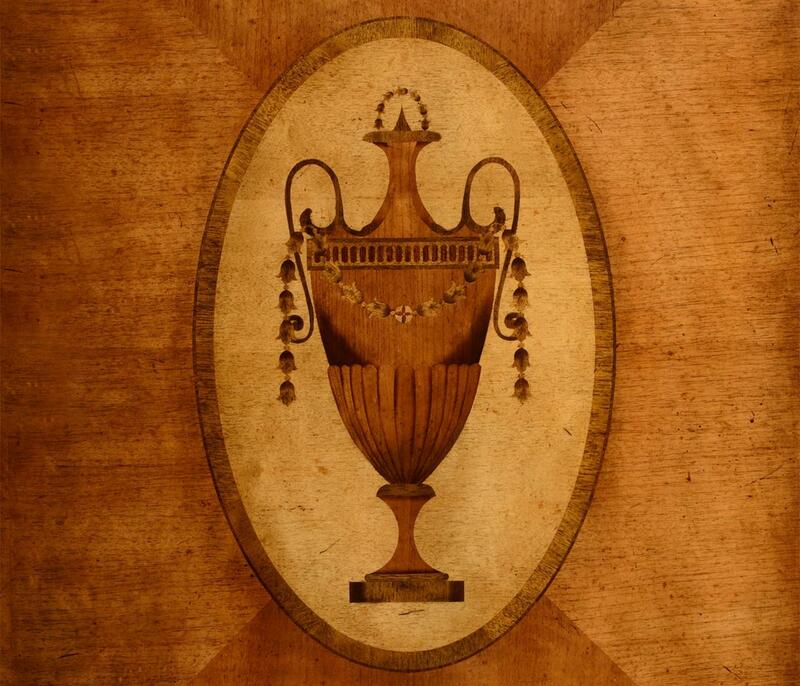 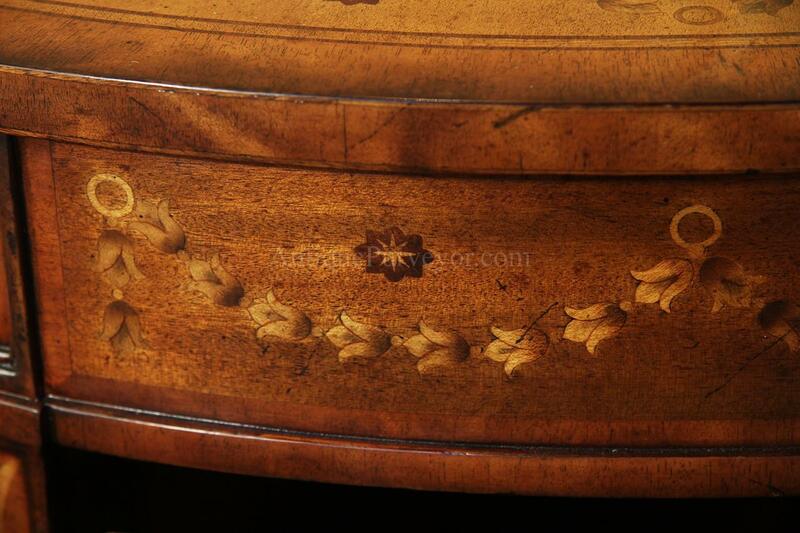 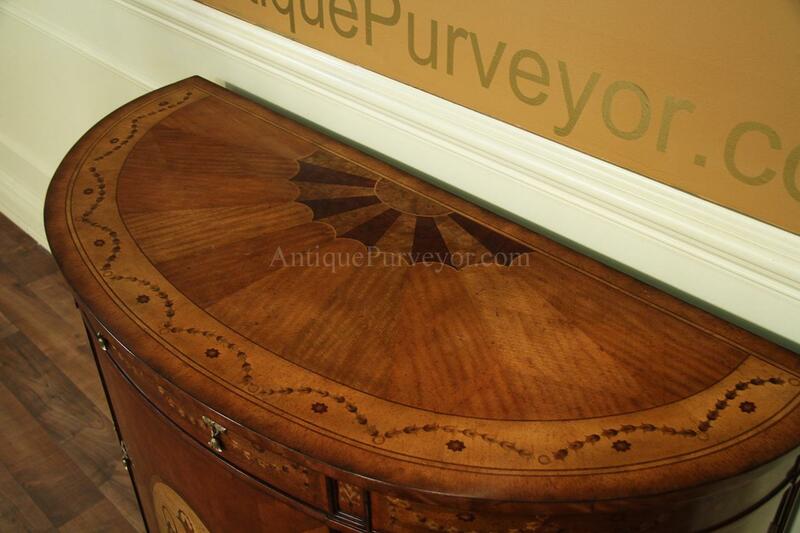 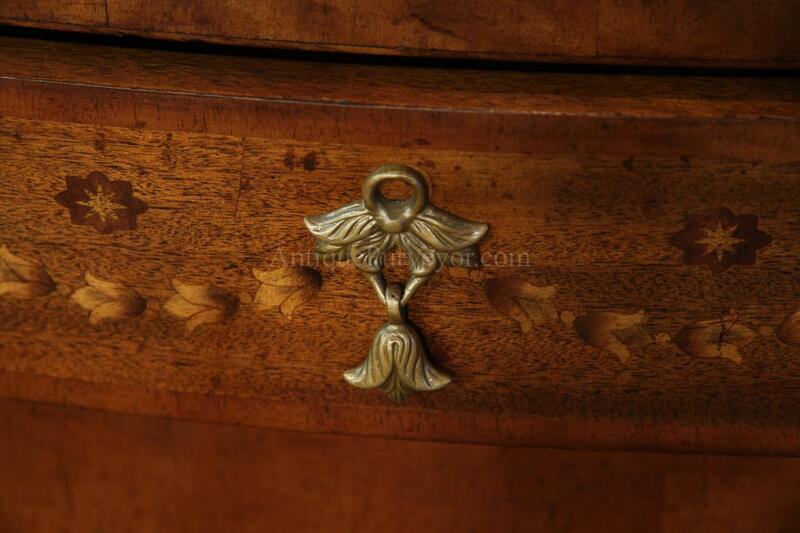 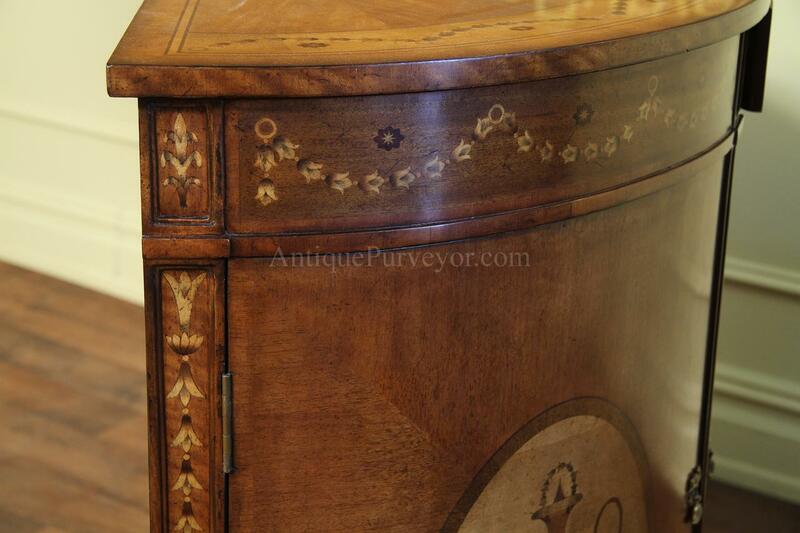 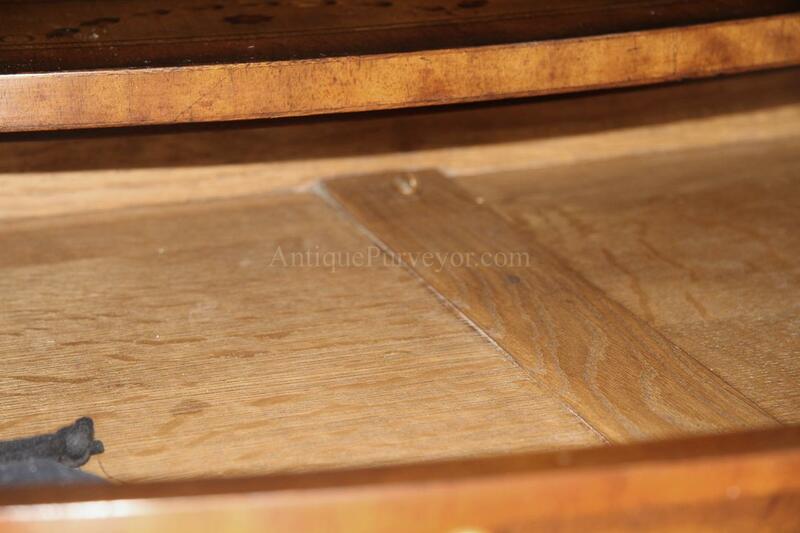 Bellflowers, fan inlays and urn shape inlays make this an Adams style cabinet. 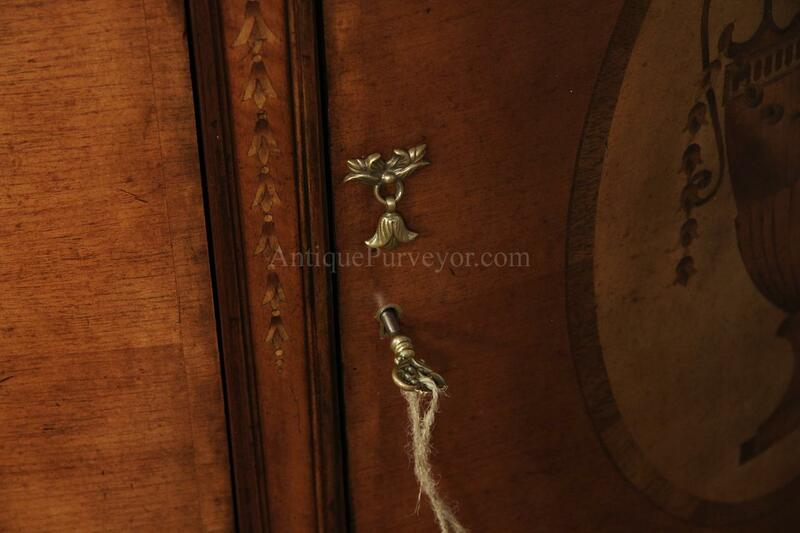 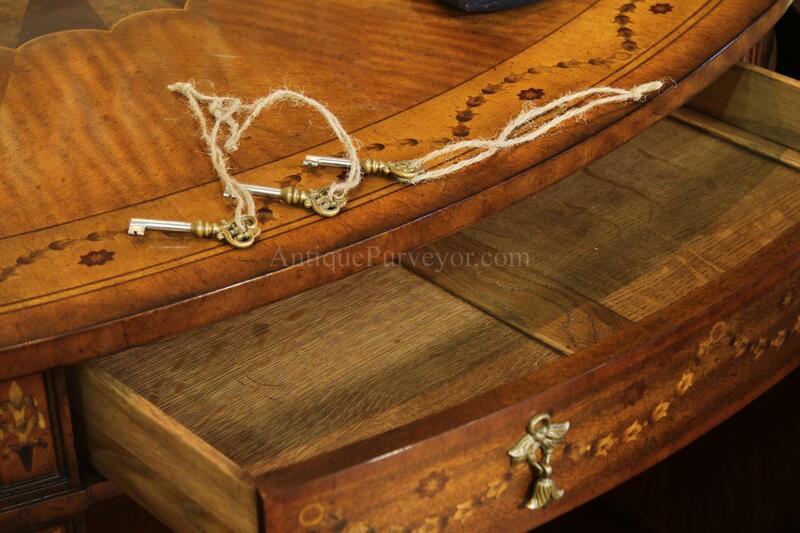 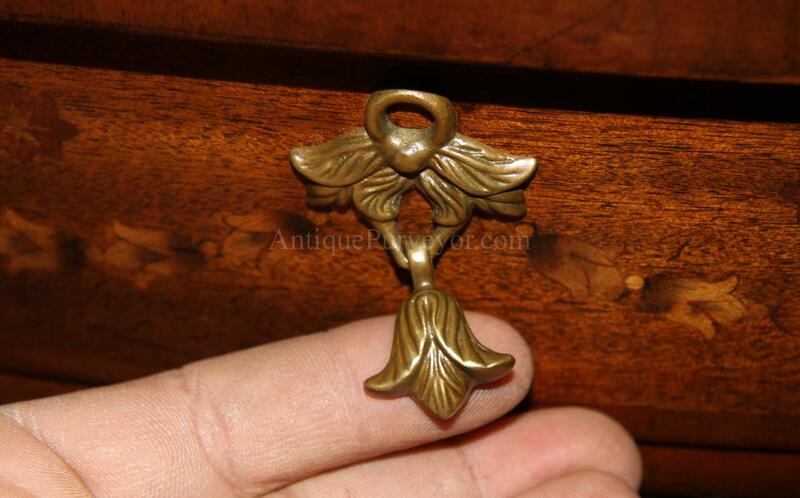 This antique style demilune cabinet features tassel drawer pulls, oak drawers and working key locks on all three doors. 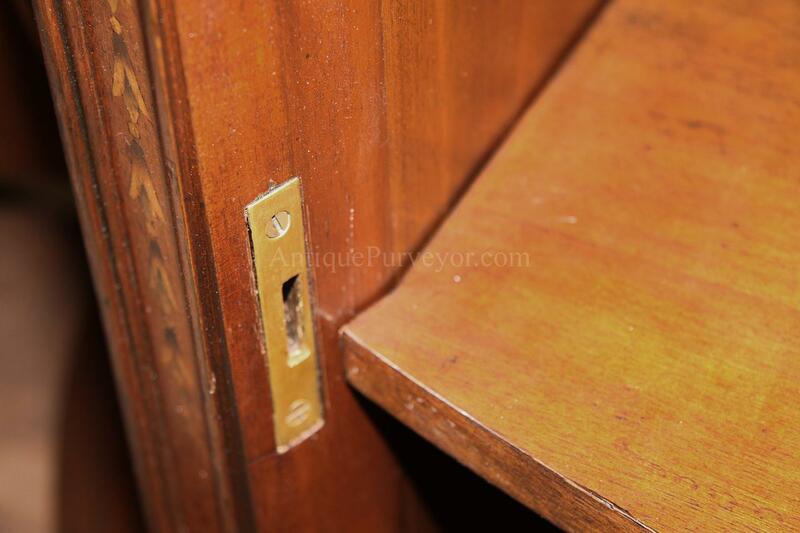 Center shelves have locks so they do not move when you move your dishware in and out. 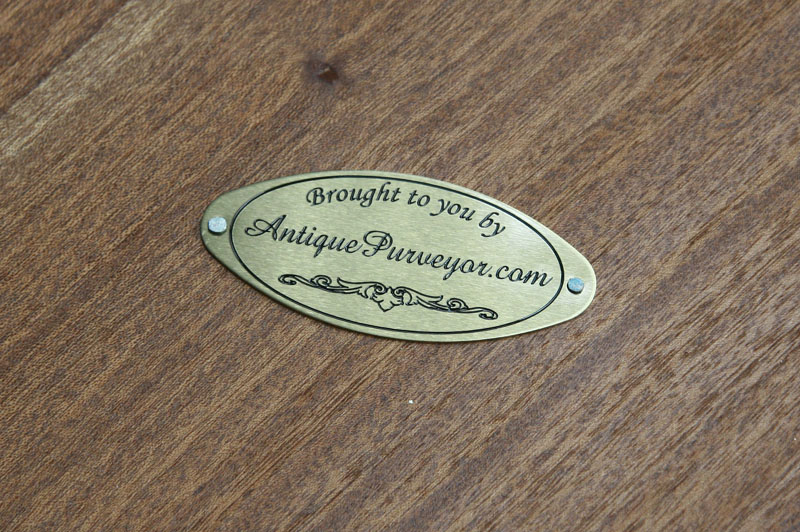 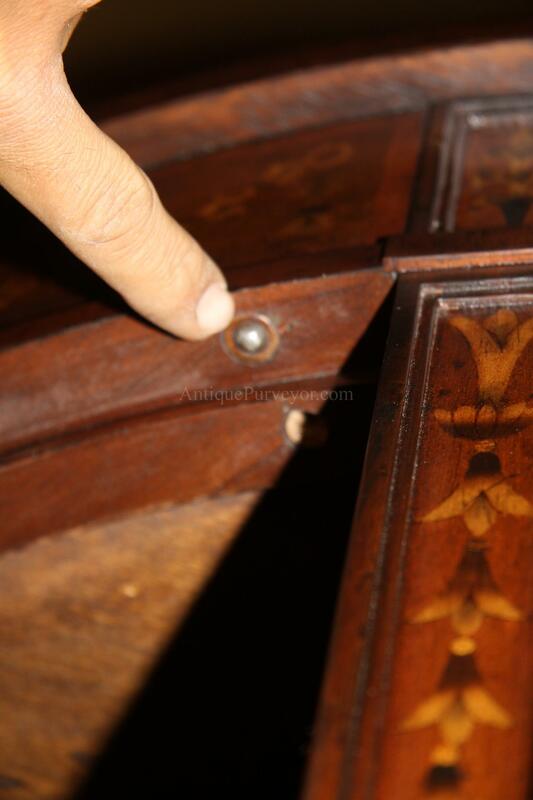 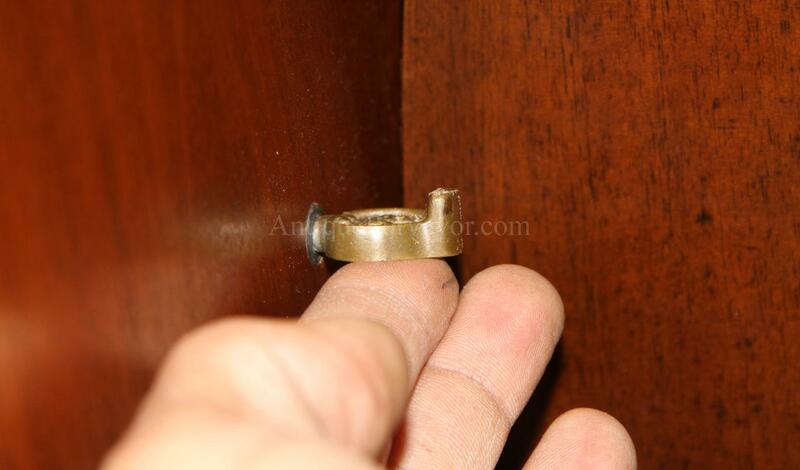 The center storage area has three shelf positions and all of the hardware on this mahogany demilune is forged at the factory, including the screws! 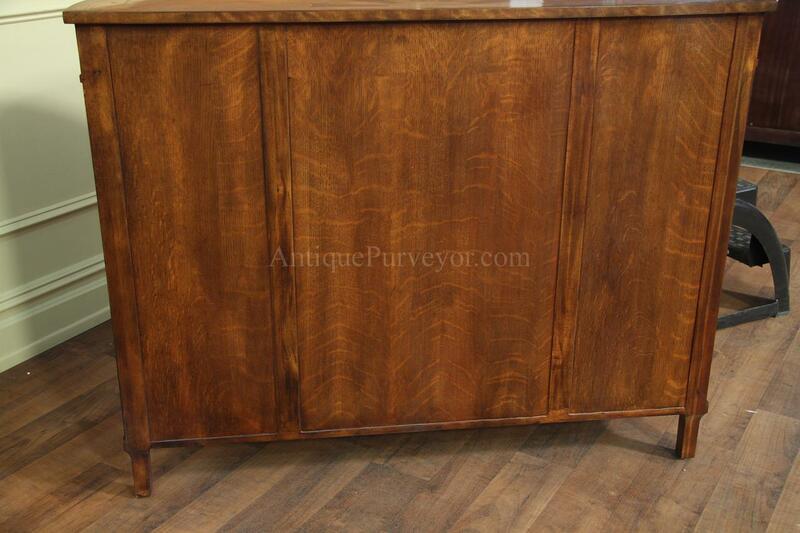 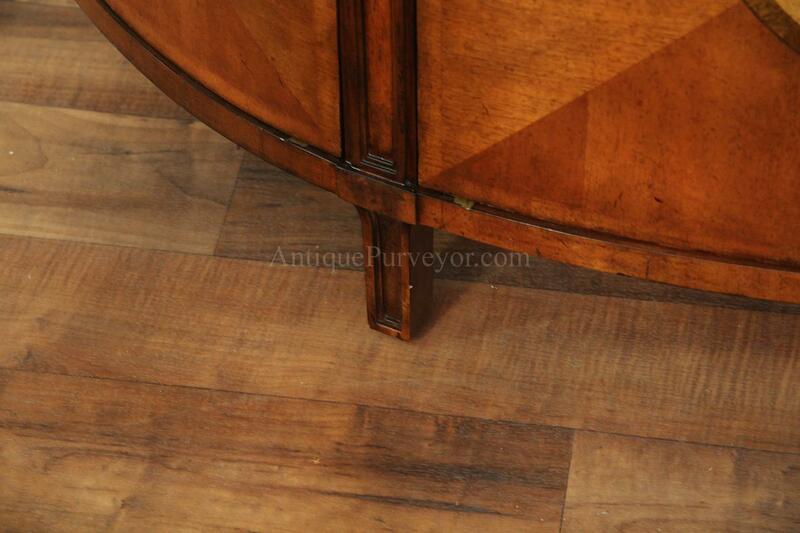 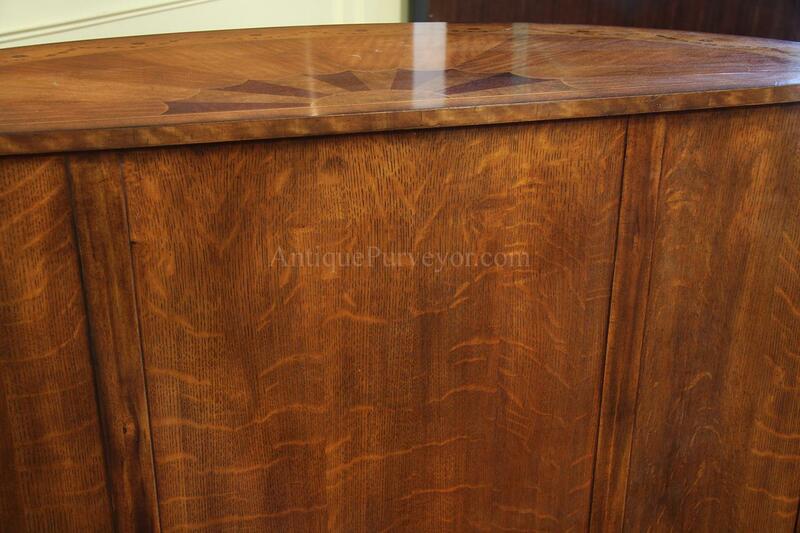 This mahogany demilune cabinet is second to nothing I have seen in the demilune space. 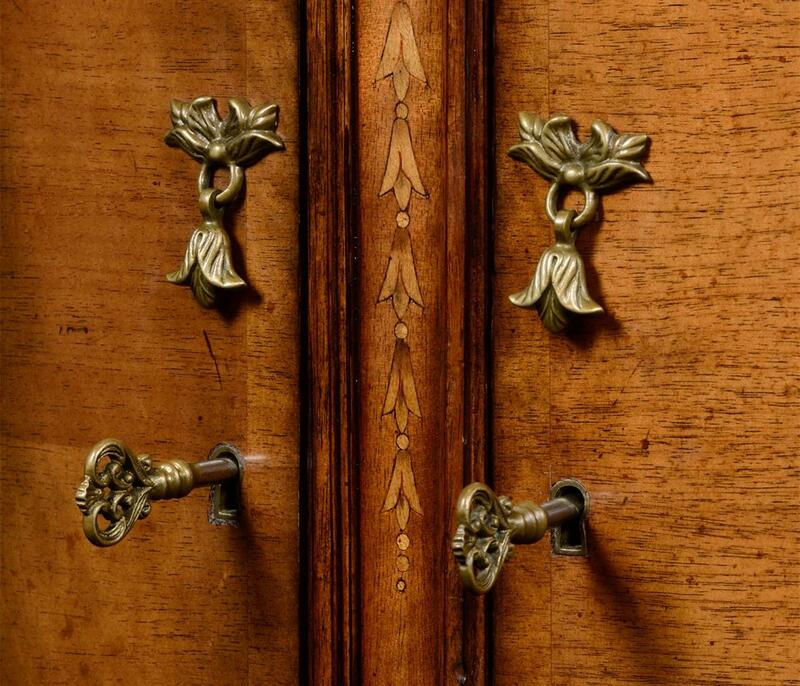 You can see and feel the quality as soon as you get the cabinet and when you see how precise the doors and drawers align with the frame you'll be impressed. 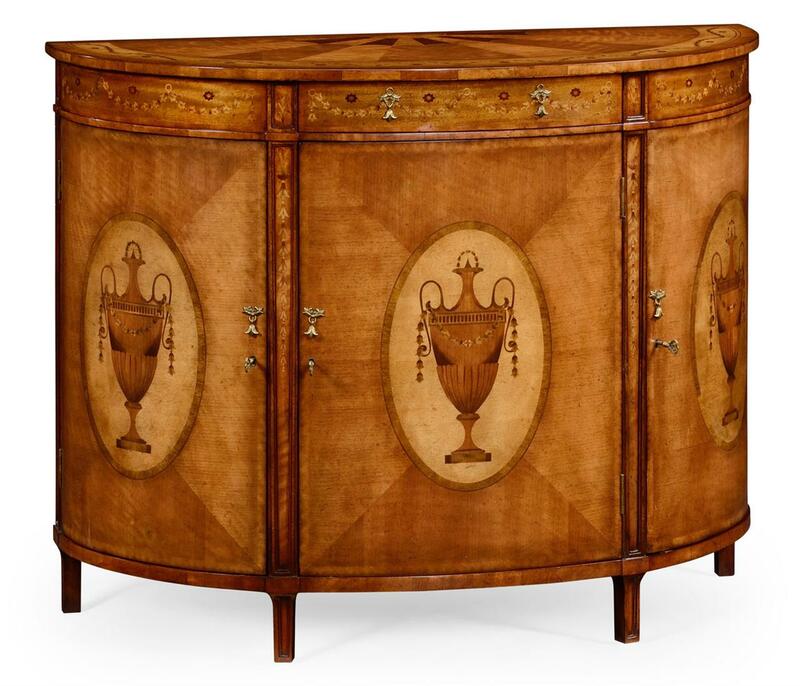 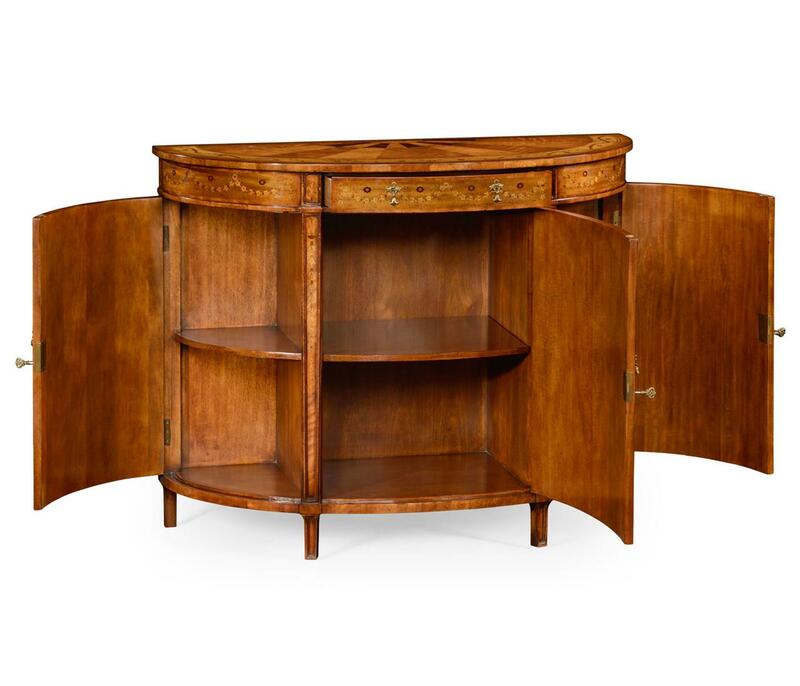 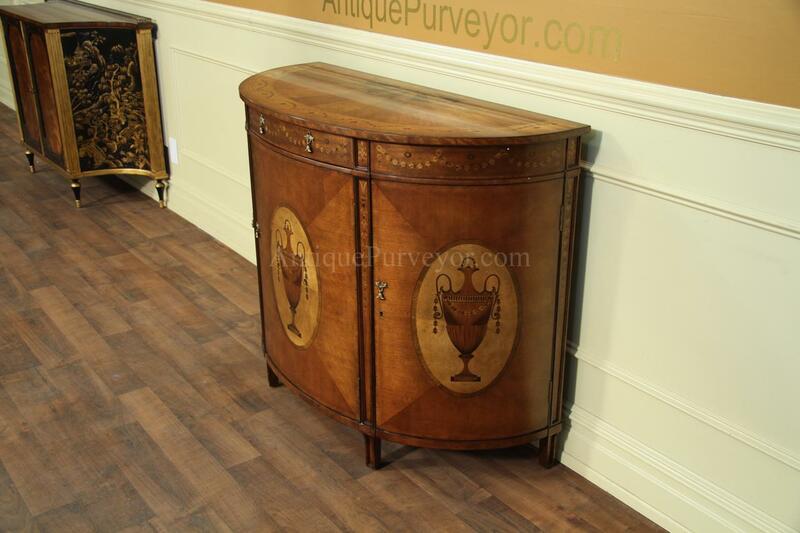 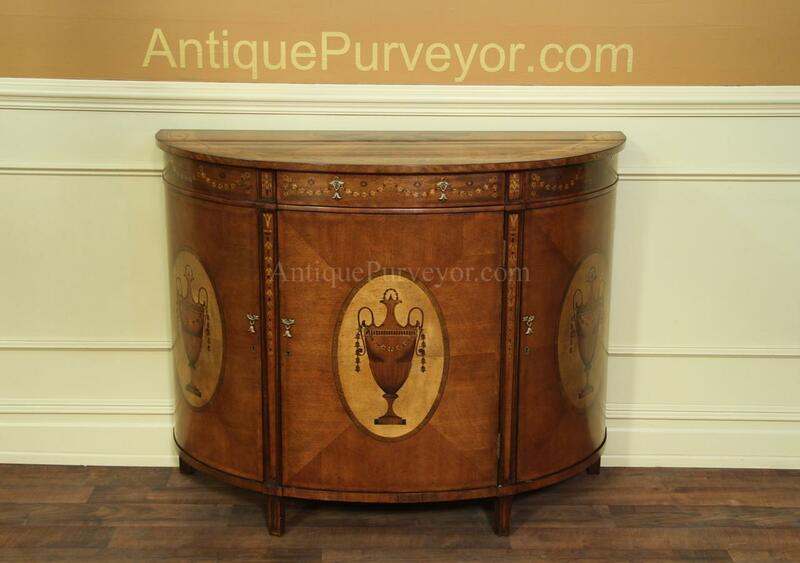 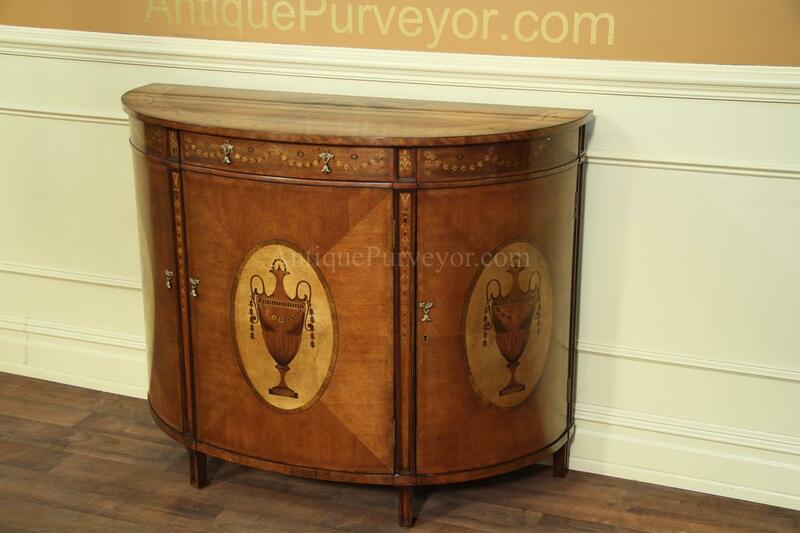 This antique style demilune cabinet would fetch at least $6,500 in any high end showroom and maybe even more. 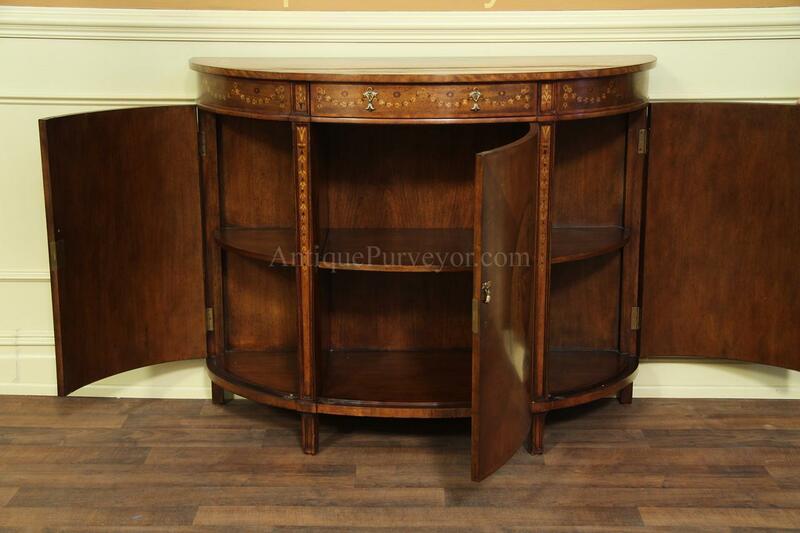 $3,200 is a fire sale price for this cabinet and even after full service shipping, you are getting a great deal.